Expo Veneto: Enjoy Summer at the Provincial Museum of Torcello! Evénement > Enjoy Summer at the Provincial Museum of Torcello! 10.30 a.m. – 5.30 p.m./ Admission to the Museum with reduced tickets, for all visitors on both days. No-charge guided tour of Torcello Museum, dinner at the “Al Ponte del Diavolo” restaurant and two evening tours with an astronomy expert. At about 7.30 p.m. dinner at the “Al Ponte del Diavolo” restaurant at the special price of € 20 for adults and € 15 for children. At 11.00 p.m. a special water taxi will depart from Torcello to Fondamenta Nuove stop. 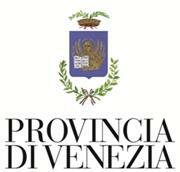 * Prior booking is required: torcello.eventi@provincia.venezia.it , Info: tel. 0412765001. The reconstruction of Torcello’s history starts from its archaeological sites, from the language of everyday life artifacts, recomposed according to sophisticated procedures to preserve its tracks (Shared Culture Community Project). The same attention is focused on the conservation of the housed artifacts, that witness the history of the island. By Elizabeth Zendri, Dept. of the University Ca’ Foscari, Venice. tel. 0412765001. Meeting in front of the Museum entrance. At 3.20 p.m./ A treasure at Torcello. Ancient families discover the lagoon treasure. Group games for kids, to enjoy together Torcello’s history, its ancient lagoon and monuments, such as the ancient buildings of the Council and the Archive housing the Museum of Torcello, the Basilica of Santa Maria Assunta, the Church of Santa Fosca and the remains of the baptistery. *Free of charge, for children aged 6-10 years only, prior booking is required: torcello.eventi@provincia.venezia.it. A free visit to the museum and an archaeological-narrative walking through the historical and archaeological sites of Torcello and its watery paths. A special occasion to experience the fascinating atmosphere of an island, that still evokes the memory of its glorious past. At 5.40 p.m. meeting at the pier ACTV of Torcello. At 7.30 p.m. dinner at the “Al Trono di Attila” restaurant at the special price of € 18 for adults and € 14 for children. At 9.00 p.m., a boat will depart from Torcello to S. Lucia railway station, with an intermediate stop at Fondamenta Nuove. At 11.20 a.m./ A treasure at Torcello. Ancient families discover the lagoon treasure. Group game for kids, to enjoy together the history of Torcello, its ancient lagoon and monuments, such as the ancient buildings of the Council and the Archive housing the Museum of Torcello, the Basilica of Santa Maria Assunta, the Church of Santa Fosca and the remains of the baptistery. At 11.30 a.m. / The gemstones of Torcello: the history of the glyptic collection. During “Isole in Rete 2015” events. A visit to the 72 gemstone collection of the museum, dating back from the second century BC to the nineteenth century. A special new experience to discover the wonderful works of art full of charm and history, with Sabina Toso, the author of the cataloguing and digitalizing of the glyptic heritage of Torcello Museum. The Provincial Museum of Torcello illustrates the millenary history of the island and its relations with Venice and the mainland. Established in the late nineteenth century by a group of eminent and cultured Venetian collectors, the Archaeological and the Medieval and Modern sections of the museum house findings from the early-Veneto, pre-Roman, Roman, Byzantine, the early medieval period to the glorious days of the Serenissima Republic up till the 19th century. The history of the Provincial Museum of Torcello began in 1870 when Luigi Torelli, the prefect of Venice, purchased the Palazzo del Consiglio to house artifacts found out in Torcello, in the adjacent islands and in the near mainland. In 1872 Torelli donated the property to the Province of Venice. In 1887 the archaeologist Cesare Augusto Levi succeeded in the management of the museum, extended its collections and renovated the archaeological collection of the Palazzo dell’Archivio, then donated to the provincial authorities. Between 1928 and 1930 the director Adolfo Callegari rearranged the collections with interventions of inventory and cataloguing. In 1974, after a radical restoration of the Palazzo del Consiglio and of the objects exhibited, the medieval and modern section was opened. In the following years the Palazzo dell’Archivio was restored and the present archaeological section was inaugurated in the summer of 1990 with a new layout. At present the museum houses a collection of works reflecting the history of the Venetian lagoon from private collections, archaeological finds and artifacts purchased by collectors, as well as other handicrafts discovered in Torcello, the adjacent islands and the mainland nearby. The museum is divided into two main sections: the archaeological and the medieval and modern sections. The Archaeological Section, housed in the Palazzo dell’Archivio, contains archaeological finds dating from the prehistoric to the Paleochristian periods, with artifacts of different origin, from the Greek, Italic, Etruscan and Roman ceramics in their varied decorative styles and manufacturing techniques to pre-historic Etruscan bronzes used as votive objects, tableware, utensils, votive and funerary figures of worship discovered in the area around Altino, brooches and mirrors for personal and ornamental use, some of which are of certain local manufacture. The Roman finds are represented by sacred bronze statuettes, busts, heads of divinities and worshippers, animals, decorated tablets, Roman ceramics of differing types and manufacture. There are kitchen-table ware for funeral use and glasses and goblets from the UpperAdriatic; There are various types of terracotta oil lamps: circular, matrix, decorated with religious designs, private motifs, with images of circus games, animals and plants. The Medieval and Modern Section, which is housed in the Palazzo del Consiglio, contains objects and documents from the first centuries of the Christian era until the 19th cent. A.D. presenting the history of the island of Torcello and its relations with the area of Altino, the Byzantine culture and the city of Venice. Stoneworks and architectural fragments dating back to the Early Middle Ages witness the Bizantine influence in the lagoon area and the progressive fitting to Western decorative patterns with their braids, wavy-designed frames, geometric interlaces with stylized flowers or more complex motifs of animals and plants. The mosaic fragments of the 12th cent. A.D with the Head of Christ and the Angels in the Basilica of Santa Maria Assunta before the restoration of the 19th century. The golden silver Pala d’Altare of the 13th century also come from there. The Section also contains paintings from the ruined church of Sant’Antonio at Torcello, attributed to the workshop of Paolo Caliari, known as Veronese. Of Venetian manufacture are the wooden polychrome sculpture of the half of the 15th century representing the Pietà, and Santa Fosca, whose body was buried in the church of the same name in Torcello. The intense social life that used to be in Torcello is confirmed by documents, seals and pottery collection relating the civil and ecclesiastic life in the island. The Museum also keeps documents, drawings, prints, photographs and a library supporting the activity of the Museum. Access and consultation are allowed with permission of the Museum Director only.